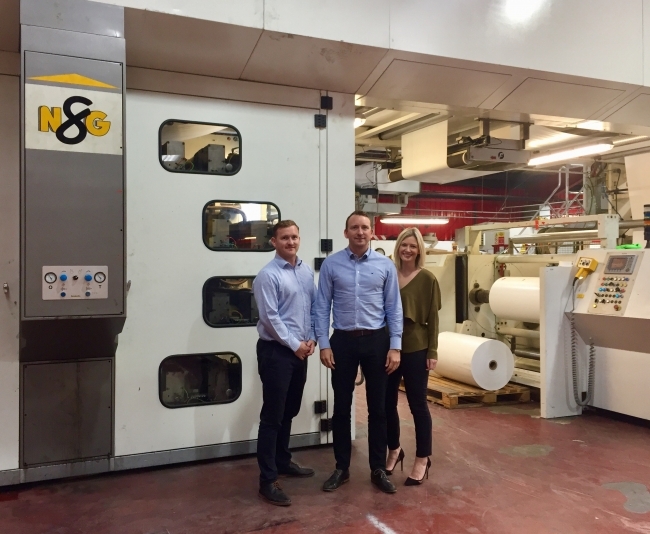 Polythene packaging manufacturer, supplier and distributor, Duo UK has invested £800,000 in a brand new printing press and mailing bag conversion machine. The machines have been installed at Duo UK’s factory in Manchester and are already resulting in impressive production output benefits. The first, a flexographic printing press can produce eight colour designs and has increased Duo UK’s printed film output by some 30% already. The second, a mailing bag conversion machine, is the first of its kind in the UK. This machine has been engineered specifically to feature a unique adaptation for Duo UK’s exclusive Duo Optipac mailing bag design. The machine itself will increase the output of all mailing bags by more than 25%. Dale Brimelow, Operations Director at Duo UK said of the new machines: “We’re constantly looking at ways to grow and build on the success that we’ve achieved over nearly three decades. Duo UK, who will celebrate 30 years in business next year, manufactures and distributes bespoke packaging products to leading retail and e-retail brands, such as JD Williams, JD Sports and Tesco. In 2015 the company launched DuoGreen to help customers achieve their environmental goals, and is proud to be the only UK Manufacturer to produce carbon negative, sustainable and organic mailing bags using GreenPE.